Theory 1: If leaders know they are being “watched” and the citizens expect transparency in public service delivery, they are likely to act differently. PeaceOpoly provides a level playing-field for marginalized citizens to mobilize political leaders to take action on a particular community need, and to report the results. This keeps those leaders accountable to the citizens for any failures to act and/or resolve the issue. Enhanced accountability initiatives like PeaceOpoly check the inability or unwillingness of governments and government officials to deliver essential, fundamental services to their citizens. 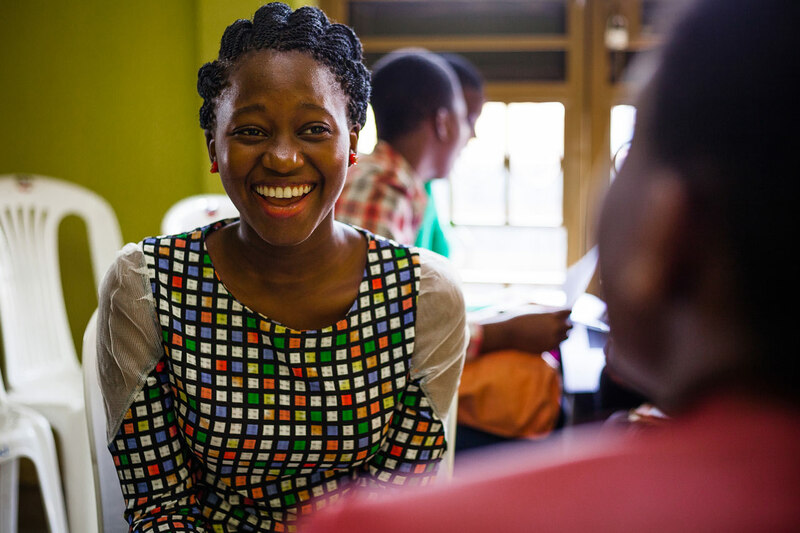 They empower citizens to articulate their demands and increase transparency for all public decision-making, thereby increasing the effectiveness of service delivery. 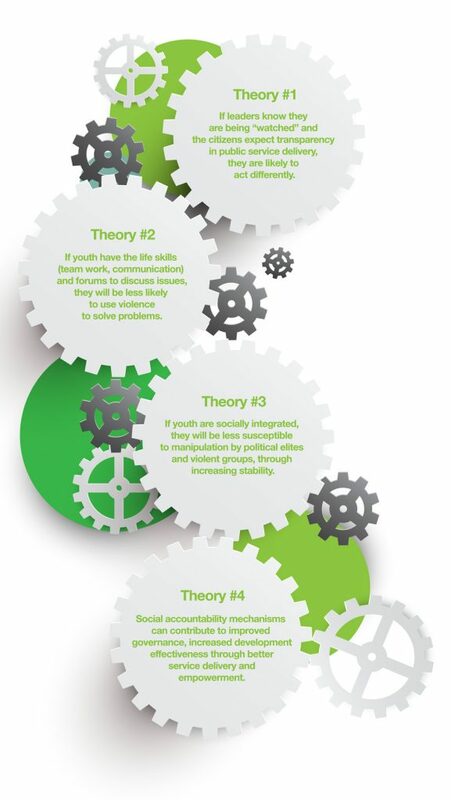 Theory 2: If youth have the life skills (team work, communication) and the appropriate forum to discuss issues, they will be less likely to use violence to solve problems. PeaceOpoly provides youth with civic education workshops and a range of skills and tools that teach conflict analysis, negotiation, resolution and reconciliation. PeaceOpoly also supports inter- and intra-community dialogues that provide peace actors with opportunities to use their skills to resolve disputes and address shared problems across cultural, ethnic, political and religious lines. Theory 3: If youth are socially integrated, they will be less susceptible to manipulation by political elites and violent groups. The youth most often involved in post-election violence are those from areas that are ethnically homogenous and culturally and geographically isolated. PeaceOpoly affords youth the opportunity to work together on community reconstruction projects and services. Working in tandem promotes cultural, ethnic, political and religious coexistence, and builds trust and mutual interests between groups. Theory 4: Social accountability mechanisms can contribute to improved governance and increased development effectiveness through better service delivery and empowerment. By providing PeaceOpoly participants with fundamental and critical education regarding their individual and communal political rights and entitlements, and by soliciting unambiguous feedback from community members, social accountability mechanisms provide a means to grow, consolidate and strengthen the voices of disadvantaged and vulnerable groups.